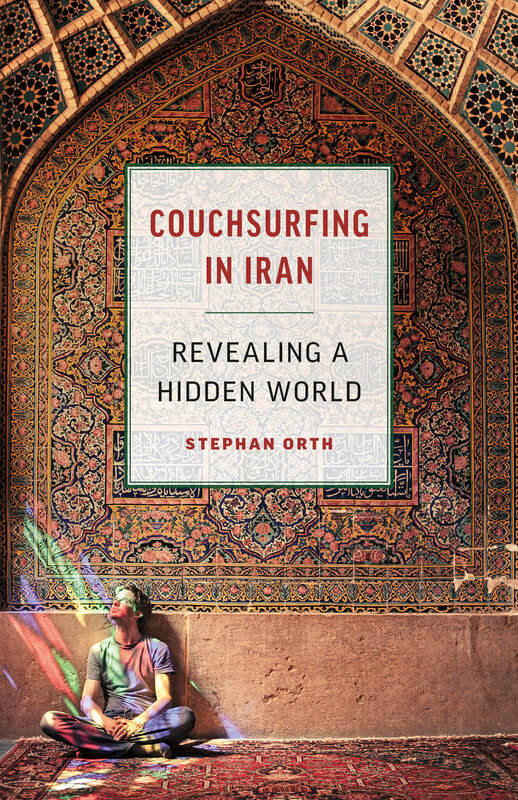 ​In Couchsurfing in Iran, award-winning author Stephan Orth spends sixty-two days on the road in this mysterious Islamic republic to provide a revealing, behind-the-scenes look at life in one of the world’s most closed societies. Through the unsurpassed hospitality of twenty-two hosts, he skips the guidebooks and tourist attractions and travels from Persian carpet to bed to cot, covering more than 8,400 kilometers to recount “this world’s hidden doings.” Experiencing daily what he calls the “two Irans” that coexist side by side―the “theocracy, where people mourn their martyrs” in mausoleums, and the “hide-and-seek-ocracy, where people hold secret parties and seek worldly thrills instead of spiritual bliss”―he learns that Iranians have become experts in navigating around their country’s strict laws. day cult in Siberia – Stephan Orth, a couchsurfer of more than ten years’ standing, sets out to find the true Russia beyond the news and propaganda. He travels from Moscow via Volgograd to Grosny in the south, from St. Petersburg via Irkutsk and Lake Baikal to Vladivostok in the east. Along the way he bumps into Putin devotees and gun nuts but also plenty of warmth and gorgeous countryside. Moving from couch to couch and host to host, he develops a more complex and personal picture of Russia. The first book about Russia without bears and Balalaikas! ​Reached #9 in German Bestselling list! ​Winner of ITB BookAward 2018! Photos from the trip for "Couchsurfing in Russia"
Here some of my hosts in Russia introduce themselves - an excerpt from "Couchsurfing in Russia"! For more photos and stories from my trips, please follow me on Instagram! 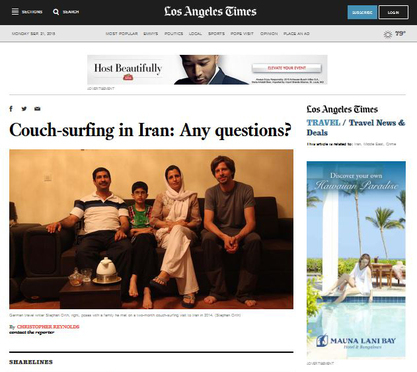 Officially, Couchsurfing is forbidden in Iran - at least if you don't register with the local police within 24 hours for each stay. Nevertheless, journalist Stephan Orth travels the country sleeping on the Persian carpets of twenty-two different hosts. Orth's account of Iran offers a unique perspective on a culture typically misunderstood, and a behind-the-scenes look at life traveling in one of the world's most closed societies. 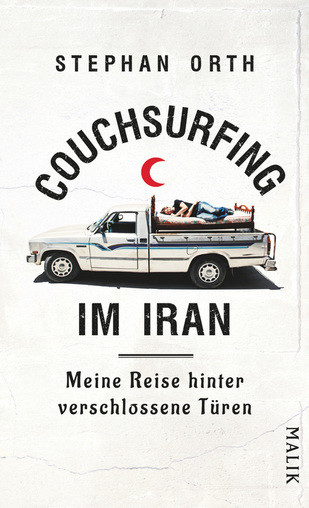 "Couchsurfing in Iran" was in the German bestseller list for 70 weeks and sold more than 150.000 copies, making it one of the most popular travel books of the last years. Translations in English, French, Dutch, Czech and Polish are available, Persian and Finnish versions will be published soon! "The bad news is that the book is in German": a talk with Christopher Reynolds of the "Los Angeles Times" about police stations in Kurdistan, American Iran-clichés and fake marriages. In April 2017, I presented my book "Couchsurfing in Iran" at the Goethe Institute in Amsterdam - in this video, you can see some excerpts (Video: Persian Dutch Network). Photos from the trip for "Couchsurfing in Iran"